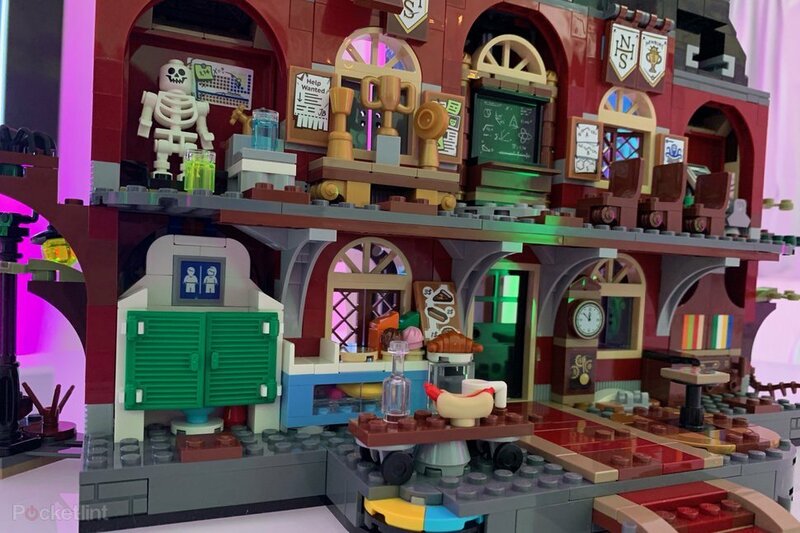 With New York Toy Fair 2019 coming up we just gots some pics and prices from the new original LEGO theme “Hidden Side”. I love the look of them, and they might even make up for Chima and Nexo Knights. What do you guys think? LEGO has unveiled a brand new theme named Hidden Side! The range has been designed for integration with an augmented reality app and will consist of eight sets which are being released in August. I hope they test the apps on multiple devices this time around, and also support them properly for a good few years. Unlike Fusion. Not sure I'll use the app, but it will be nice to have some more Halloween sets. Been wanting a grave yard for a while, but couldn't justify sending the money on the old Harry Potter set. Looks like some great new Minifigure pieces and prints. I rather kids just enjoyed playing with lego instead of staring at their phones whilst playing with lego, but the sets look fun. A mix of scooby-doo and monster fighters. I quite like the look of this theme. Loving the Hoodie with cap combo. So it's basically Pokemon Go for Lego? I love the Halloween themes anyway, so these are great! @andhe Sets like this might actually help get kids into Lego. My grandson spends more time playing with his iPad and an Android phone than any other toys, so having a link between those devices and physical Lego will encourage him to spend more time with Lego. Like many people I suspect, I'm not too interested in the phone app stuff, but the sets themselves look like they could be cool. I'm so glad they're doing a spooky line again; I loved the minifigure series but missed the Monster Fighters theme completely so this will be a good chance to get a haunted house set. I am beyond excited for essentially a spooky Halloween theme!! I could care less about the app aspect, but some new sets to add to my fall display??!! Bring it!!! Hopefully there won't be too much of a premium in price added on for the app side of the theme. Oh dear, already my phone's not good enough. I also agree with andhe - I like that Lego gets my kids away from starring at screens. Think I need to see more but I'm not massively excited ... which is a relief, I already have too much on my want list! Brickset has an opportunity to interview some designers from Hidden Side tomorrow so please let me know via PM if you have any questions for them. I think the range looks fantastic! The augmented reality element does not interest me but I love the individual sets, perhaps even more than Monster Fighters. 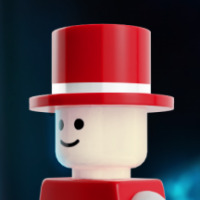 Hopefully the ghosts will also appear as physical minifigures. The sets I've seen so far look good. I'm a little disappointed the high school is just a facade and not a full building but it probably would have doubled or tripled the price. Depending on what the rest look like I may be interested in collecting the theme. Seems like they would be good if you wanted to start a Halloween town if you missed out on Monster Fighters, or a good addition to it if you do have them. I think the first question I'd ask is why did you not make the ghosts in physical form, but only appear in the app. That is probably the weakest point in this theme. Switching heads is not too bad, but not as good as getting more monster style characters. Hopefully the ghosts will also appear as physical minifigures. 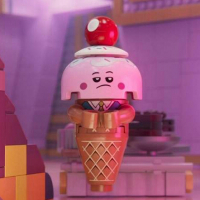 Snipped this part of what @CapnRex101 said, I wonder if maybe they might show up as their own collectible minifigure line? What are thoughts on that? Maybe pose that question and note their reaction? Love the look of it. The School is ace. Not even remotely interested in the app. I think I kind of hate technology. I think it's a positive step forward though, and if it works across all platforms and if it gets kids interested in playing with LEGO and distracts them from their smart phones for ten minutes, then great! I suppose this means we'll see the LEGO Fortnite app in about three years? I love the look of the mini figs and the bus is cool. Just please, no LEGO Fortnite! I'm definitely on board with this. I see myself buying both the Graveyard and the School Bus. 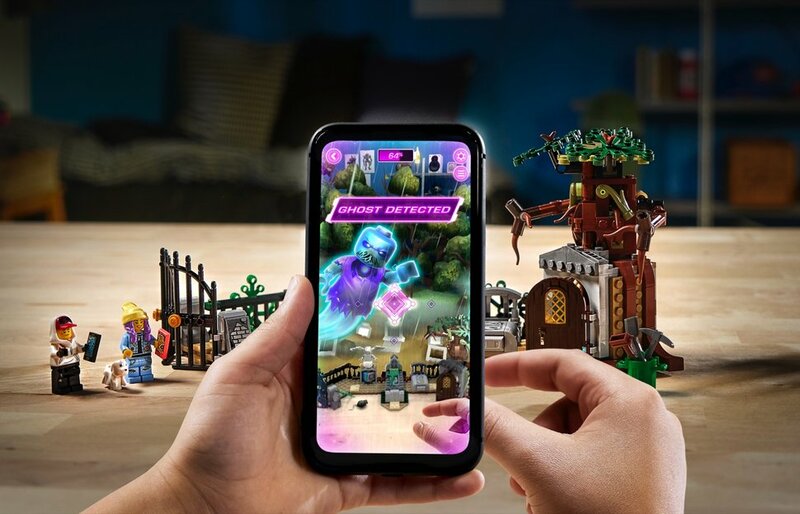 I have big concerns that Lego will cease to support the app in years to come, and future phones will no longer support it, which undoubtedly will happen. But I mind this less if the builds are excellent by themselves. These definitely are. Tho wouldn't really be newbury without me and @Shib scouting out cheap lego sets! @mustang69 It looks to have a fully detailed interior, actually. Everything you want in a school, from a classroom to a cafeteria. I mean, a lot of kids who play with LEGO also play video games on phones, PC, or consoles. 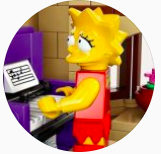 And LEGO creates apps and video games for many of their popular themes including City, Friends, and Ninjago with fans of those themes in mind. I think there's something really impressive about this theme having an app that actually utilizes the entire physical product as something for players to interact with, and not just as stuff digitally recreated on-screen or stuff to scan printed codes from. Also, from the pictures I've seen, it's way different from Fusion (which had little to no play value when you WEREN'T using the app). 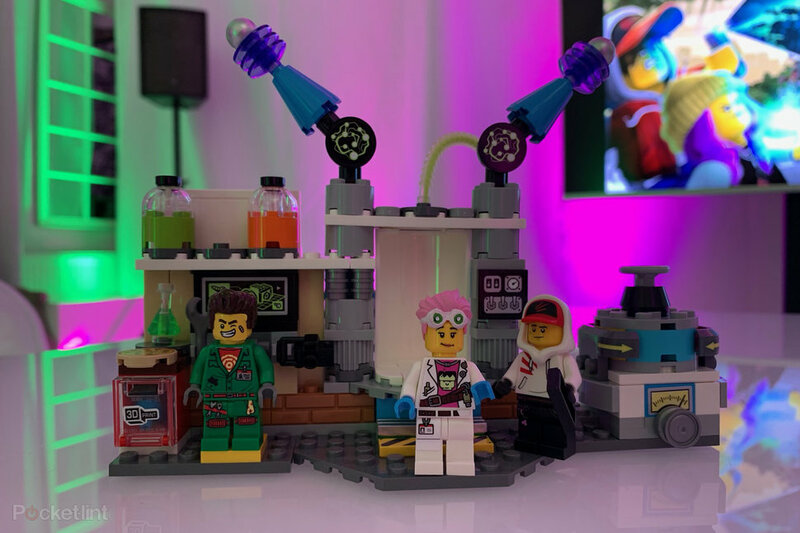 I see this as a really neat way for LEGO to extend the playability of the sets by having them exist as digital play experiences in ADDITION to the more typical style of play, not in place of it. You can play with the set normally for the type of role-playing most of these themes are based around, and then switch to the app for a more video game style experience with specific challenges to complete and rewards to collect — albeit still with the toy as one of the primary means of interacting with the in-game scene. I think possessed characters still qualify as monster style characters in their own right! And thinking about it, there's something kinda nifty about the idea that the living people are physical toys and the ghosts are something ethereal you can only see with the app. I've seen other AR games (albeit not ones tied to a physical product) that likewise play around with the idea that the stuff you see in the app exists as part of the world you inhabit, but is invisible to ordinary people. In fact, I just had an epiphany — I think the reason the heroes carry smartphones is that the ghosts are invisible to the naked eye even to THEM! Thinking about that kind of makes the idea of the ghost figures not existing physically go from "okay" to "brilliant"! I'm just enjoying the fact the town is called 'Newbury', like it's the most generic placename they could imagine (it IS rather a genetic town to be fair, for me the best thing about it is they bypassed it!). @klinton Mostly what I was referring to was that its not a complete building like the Haunted House was. I think that's also 'Luigi's Mansion'. Yeah, but buildings in play themes almost never are. Look at pretty much any City, Friends, Ninjago, Castle, Space, or Town set. Fully enclosed buildings like the Creator Expert Modular Buildings and the Haunted House have pretty much always been the exception and never the norm. Wow, this is awesome! It looks like the school house is a facade on one side and an interior on the other, very similarly to the Temple of the Ultimate Ultimate Weapon. It's also great how the sets are clearly excellent in their own right and the AR is more of an addition, but it's also a significant component that ties in deeply with the theme's concept. As @Aanchir said, I remember reading somewhere that the AR game actually puts you in the first-person role of one of the teenagers, so that the figure with a smartphone is supposed to represent you and your smartphone! It is unfortunate that there don't appear to be any ghost figures, but seeing as how they're not supposed to physically exist in the sets, it makes sense. Probably the only real compromise that the sets have to make for the AR game. I like facades builds, you can easily see the inside. like arkham asylum (10937 I think?) is a great example. maybe project zero / fatal frame? @Aanchir I understand all of that, I’m just saying I’m a little disappointed it’s not larger. If I can manage it I will probably get it and the others in the line that appeal to me. 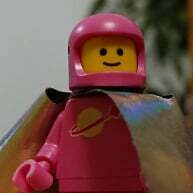 As I said in in the article on the Brickset.com main page: Shut up and take my money LEGO! I'm assuming it is as the ghosts are from people newly buried. As this town looks to be not as posh as Newbury. Logo (part that is flipped upside down) and concept of another world makes me say Lego Stranger Things....not quiet I suppose, but maybe a little. Yeah, a full building would have been cool, but they do need to keep the price somewhat reasonable ($129 is still a lot) since it's probably geared more towards younger Lego fans. Money was also spent on the app itself. I'm liking the look of the sets, though of course I'll have to mod any buildings to enclose them. Open is great for playability, not so much for display. But why is the toilet right next to the food counter? Have you EATEN school cafeteria food? You're gonna want that toilet to be as conveniently located as possible. I think someone used more or less the same analogy but this is extremely exciting to me. Hope the app works well but the sets already look really cool and interestingly in their own right. I laugh at how a certain demographic now assumes any given yellow school bus is ‘basically the Fortnite battle bus’. Toy Fair pics are popping up all over...one of them has an out house that turns into a monster. Love this theme.....for those worried about no Ghosts it looks like sets come with regular people who can swap out parts for ghostly heads, beards, wings, etc,. The seafood restaurant looks excellent! I will almost certainly get that one. You're gonna want that toilet to be as conveniently located as possible.